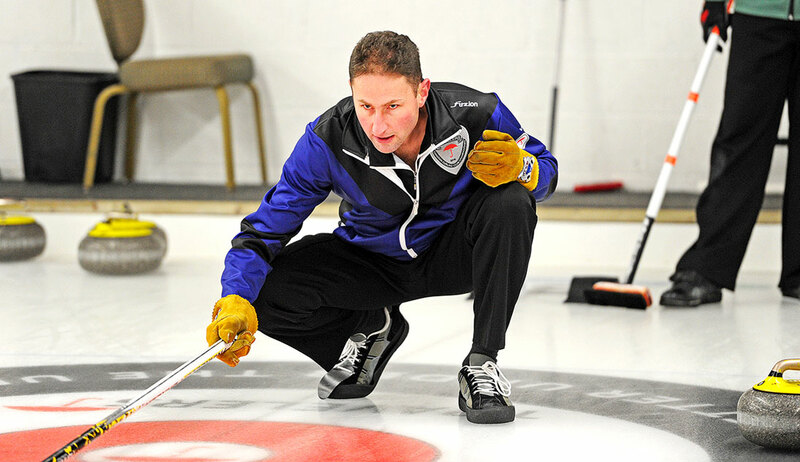 Jim Sias’ magical run at the 2015 Travelers Curling Club Championships ended today. The Yukon skipper and his teammates Greg Thom, Lee Malanchuk and Brad Wilson were downed 11-2 by Quebec skip Stephane Lamy in the quarter-finals at the Ottawa Hunt and Golf Club. Quebec beat Saskatchewan 6-4 in a tiebreaker earlier today. After going down 8-0 in the first four ends, Sias finally struck for a two points in the fifth – his only points of the contest. Quebec went on to score a single in the sixth, then steal for two in the seventh, forcing handshakes early this afternoon. Sias, who describes his team as one who likes rocks in play, finished with a 4-3 record at the event. Yukon wins came against Alberta 9-7, Manitoba 8-6, Northern Ontario 6-4 and Northwest Territories 8-1. Besides Quebec, Yukon’s other losses came against British Columbia 8-2 and New Brunswick 6-3. Sias said the ice was similar to the club in Whitehorse, with lots of curl. The group has curled together for four straight years, with Sias and Malanchuk’s on-ice partnership forming eight years ago. With the playoff berth, Sias and company joined some rare company. Rinks led by Pat Paslawski and Nicole Baldwin were the first Yukon teams to make the playoffs at the national club championships in 2013.